Initially, I didn't put a tracker on Crumble as he is such a home buddy. I put one on his brother, Peanut - (you can see his story further down!) But early in 2017, Crumble was hit by a car and went missing for 5 days. It was an awful, awful time and I cursed the decision to not put a tracker on him. We would have found him on day 1 had I done so. As it was, he struggled back by himself after 5 days with a fractured jaw and multiple skull fractures and bruising. 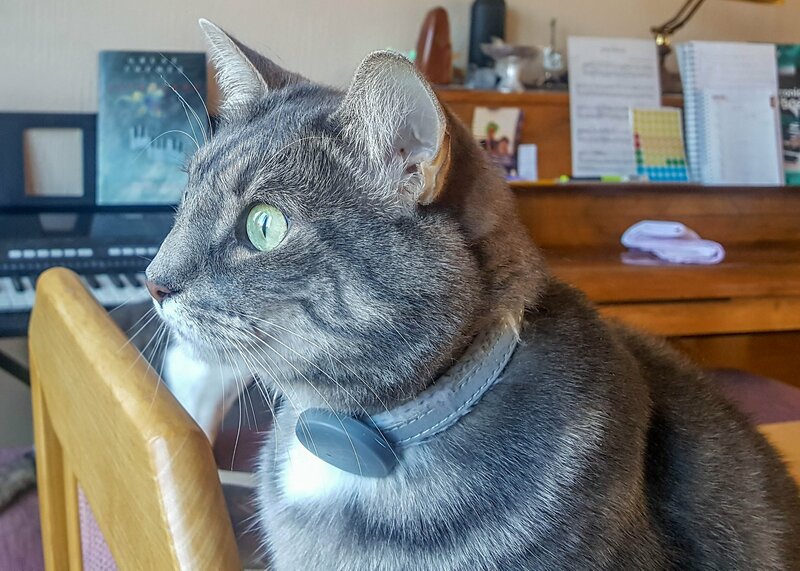 One of the first things I did when we got him home from the vet was to replace his collar and put on a Tabcat. It's rare that I need to use it for him, but if I do, he comes running when he hears the beeps as he knows coming home when called = Dreamies! Thanks Tabcat for the peace of mind!